Join us in helping to make a difference this World Oceans day! 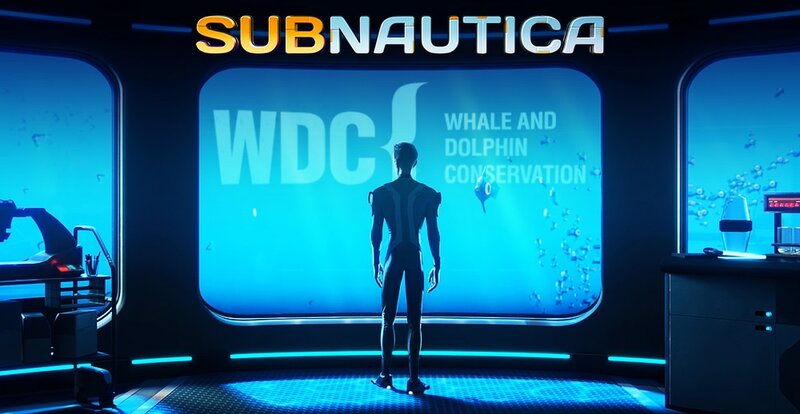 From now until 10am PT on 6/11/18, Subnautica will be discounted 20% on Steam and 15% of net sales will support WDC, Whale and Dolphin Conservation. WDC (Registered Charity No: 1014705) is the leading global charity dedicated to the conservation and protection of whales and dolphins. They defend these remarkable creatures against the many threats they face through campaigns, lobbying, advising governments, conservation projects, field research and rescue. The clock is ticking to find water, food, and to develop the equipment you need to explore. Collect resources from the ocean around you. Craft knives, lights, diving gear, and personal water craft. Venture deeper and further from the surface to find rarer resources, allowing you to craft more advanced items.